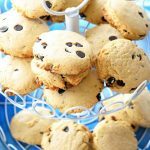 These clean eating lavender chocolate chip tea biscuits are perfect for a spring morning brunch! Easter is just around the corner and I find myself searching for recipes I can share with friends and family. Few treats are as “shareable” as cookies and tea biscuits, and these delicious cookie-like biscuits are just cookie enough to bring joy to my Easter table this year. 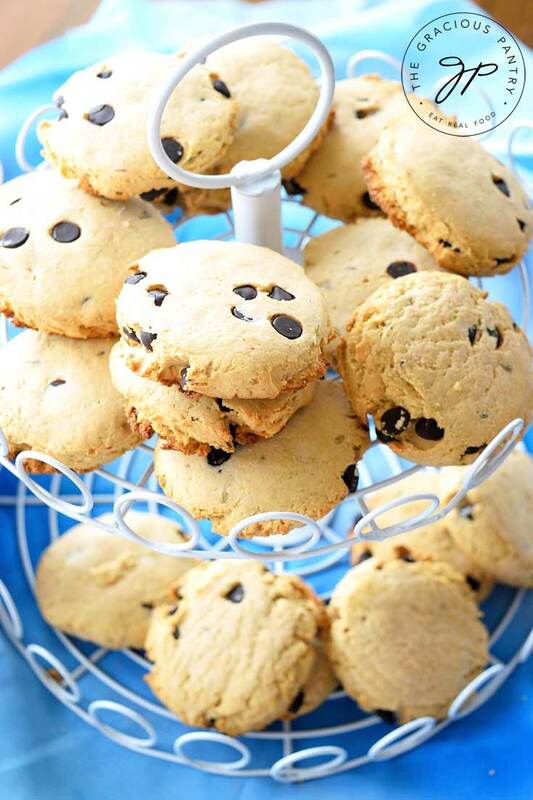 These classy cookie style biscuits are like a dense shortbread. They are mellow and easy-going with a crumbly texture and mildly sweet honey flavor and an ever present lavender flavor. 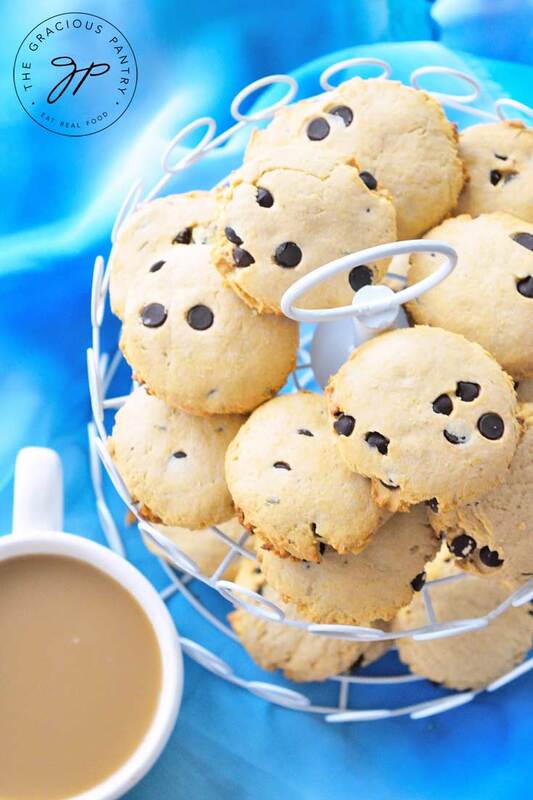 Relax with a cup of tea and one of these biscuits for a calmingly sweet experience. These dense cookie-like biscuits are like a dense shortbread cookie. They are perfect for tea or coffee! Using your hands, knead in the butter, and finally, the rest of the ingredients. Knead well. You should have a good, firm dough when you're done. If you wish, use a dough scooper. Otherwise, roll slightly larger than walnut-size balls and then flatten on a parchment lined cookie sheet. Bake at 350 for 15 minutes or until the cookies have a golden hue. Cool and store in the fridge.